MURMANSK, March 14. /TASS/. 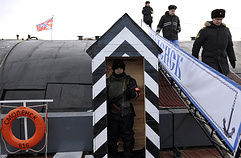 Exercises for the protection and defense of a moored submarine were conducted on Monday at the Smolensk nuclear-powered submarine of Russia’s Northern Fleet, the press service of the fleet reported. "The crew of the submarine conducted activities aimed at the vessel’s preparation for a sea voyage, ammunition loading, organization of the submarine’s protection and defense at its floating jetty mooring", the press service said. 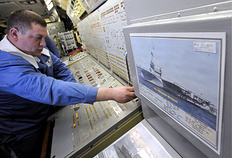 The Northern Fleet said that the submarine crews’ performance was assessed with a good mark. Now the Smolensk submarine is preparing for a voyage to the Barents Sea for combat training missions. 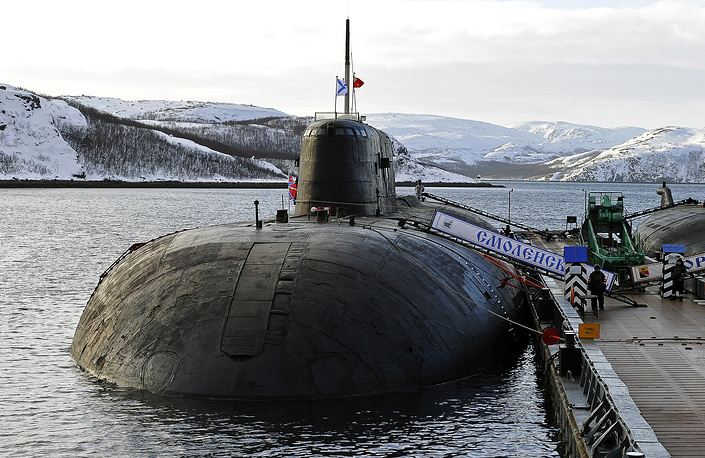 According to open sources, the Smolensk nuclear-powered submarine of Project 949A Antey (NATO reporting name: Oscar II), was commissioned in 1990. 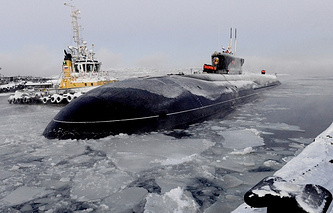 The submarine’s displacement is 24,000 tons, and its main weapons are the P-700 Granit cruise missiles.